Gapers Block - To be Demolished: 2108 W. Churchill St./1830 N. Hoyne Ave.
2108 W. Churchill St./1830 N. Hoyne Ave. 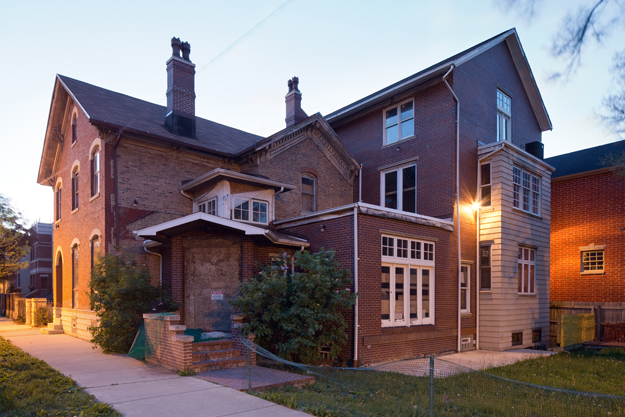 Contained in this complex of residential additions are structures dating back to at least 1888. The complex was sold for $700,000 in April. The property is not yet listed on the developer's website, but construction has already started, and both active properties are listed for at least $3 million.